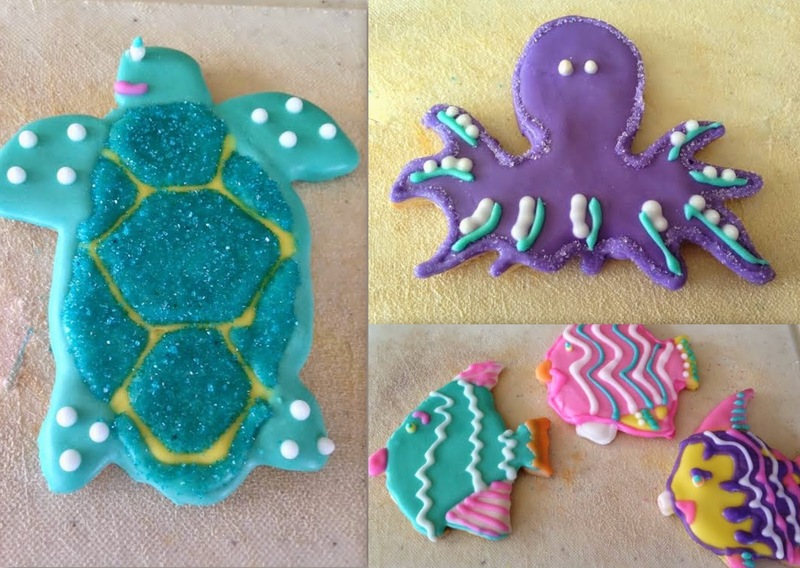 Baking and decorating cookies in the shapes of sea creatures is such a fun way to bring a little of the deep into one's home, without having to dive countless fathoms to catch a glimpse of them. Imagine tentacled octopuses, small seahorses, turtles, fish, lobsters, starfish and jellyfish iced in bright, cheerful icing. A squiggle here, a dot there, a sprinkling of sanding sugar where you see fit, along with a good measure of creativity, is all you need to create an oceanic wonderland. That is exactly what one dear reader did a little while back. Carol created these sweet wonders for a very special production of The Little Mermaid in Hoboken, NJ, where her daughter is music director. 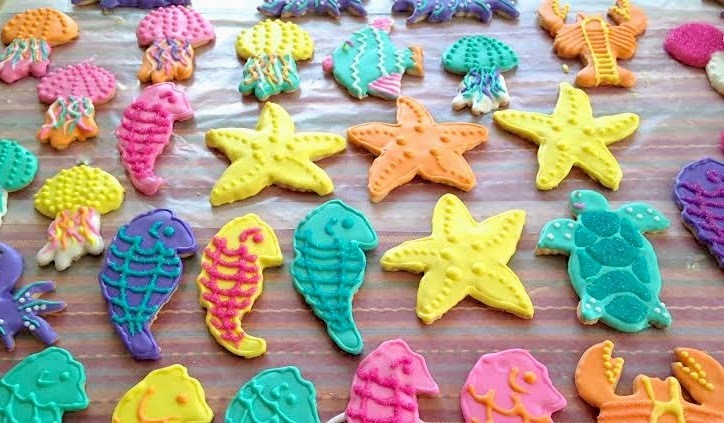 To help defray the costs of this large-scale musical, Carol baked and iced dozens upon dozens of Under the Sea Cookies that she sold at the event. She was kind enough to have shared the wonderful cookies with me and told me that she took a little inspiration from yours truly! It seems now that Carol has a little more time on her hands, she has taken on the art of cookie baking and decorating rather seriously. 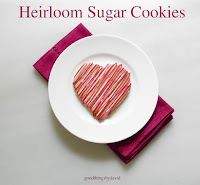 With a book or two on cookie decorating and some of the basic cookie decorating tools from a local crafts store, this budding artist is dazzling her family, friends and the community with her superb cookies. Personally, I think it's inspiring to see someone 'dive' into this art form without any fear and have them be the talk of the town. With a little determination and a bit of practice, anyone can create a fantastic array of sea animals just like these. They're appropriate for parties and, as you can see, bake sales! 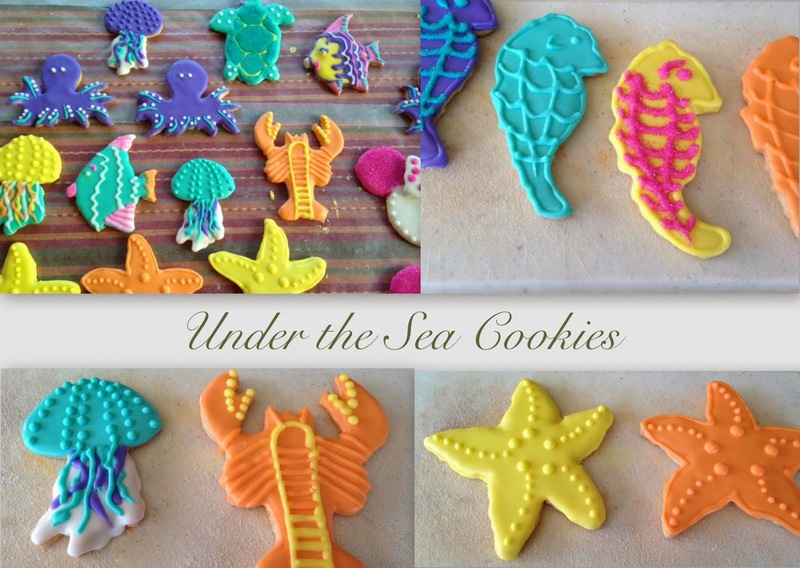 Carol's Under the Sea Cookies are just the thing for summer. 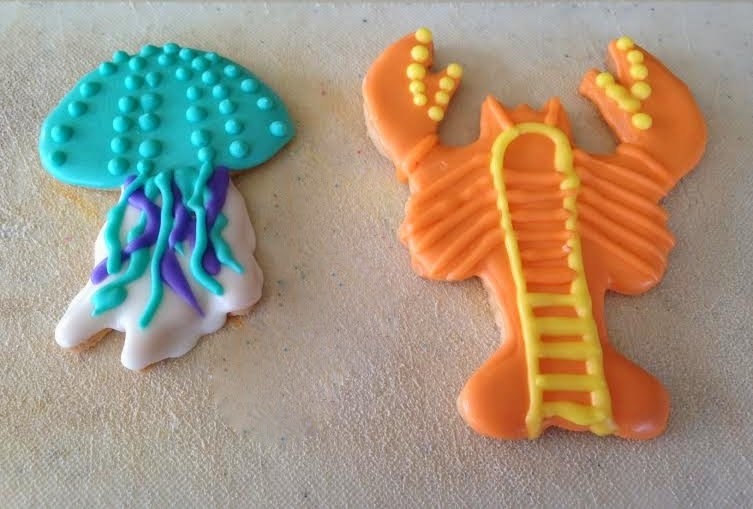 You can see the array of shapes that Carol used for her maritime cookies. I love the colors that she mixed because they're so bright. 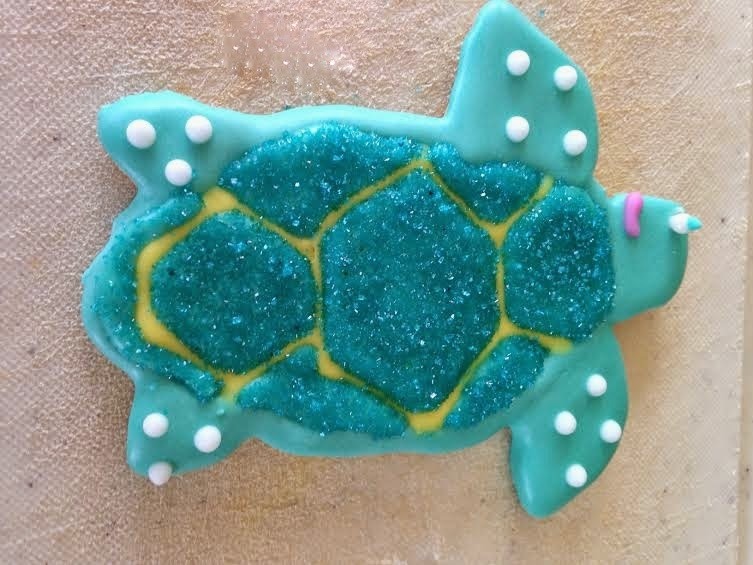 That adorable sea turtle has such a realistic-looking shell colored a deep turquoise that's been sprinkled with fine sanding sugar. The purple octopus and the school of fish are just dazzling. 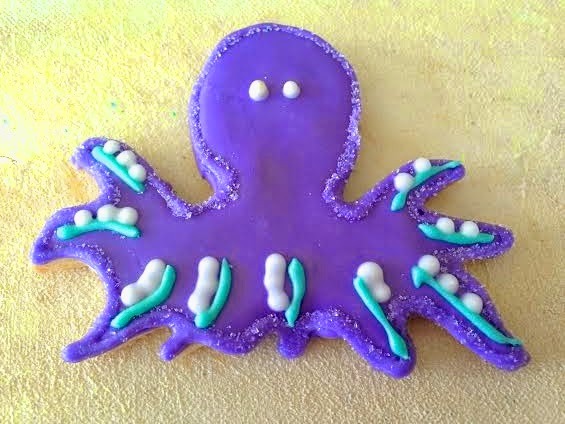 I'm not sure where Carol got her octopus cookie cutter, but I think it's marvelous! For this cookie, a bead of purple icing was piped for a border and was then covered with sanding sugar. Each tentacle was given a bead of turquoise icing. Two dots for eyes was all that was needed to complete the little guy. Look at that jellyfish! A colorful wonder indeed and the lobster next to it seems like something out of The Little Mermaid. I had to give you another closeup of the sea turtle because it's so adorable. The fact that Carol gave this little fellow a smiley mouth makes it that more adorable. As I said, Carol has started creating cookies for all types of celebrations for family and friends. 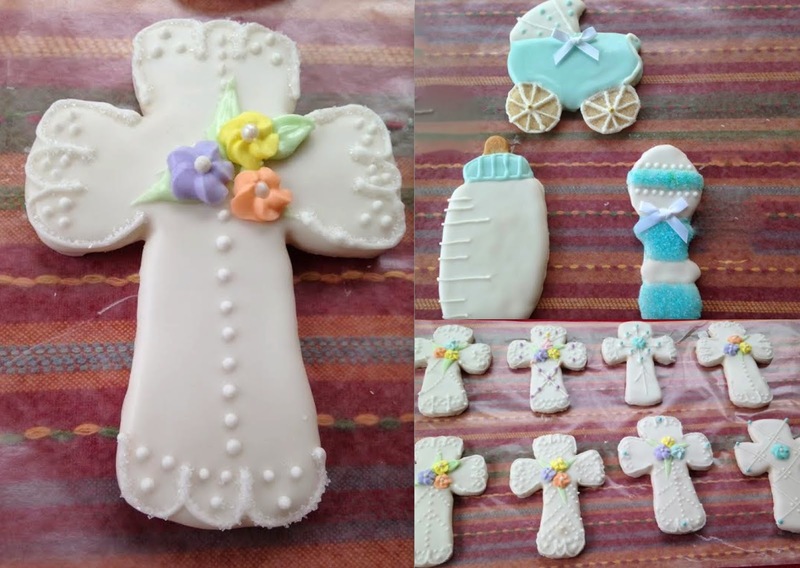 Those crosses with piped flowers were for a christening and the pram, rattle & baby bottle were clearly meant for a baby shower. Here is a multitude of prams with lovely detailed work. Isn't it beautiful? Whenever readers share their creations with me, it makes me happy to know that many are out there baking such beautiful treats for loved ones. 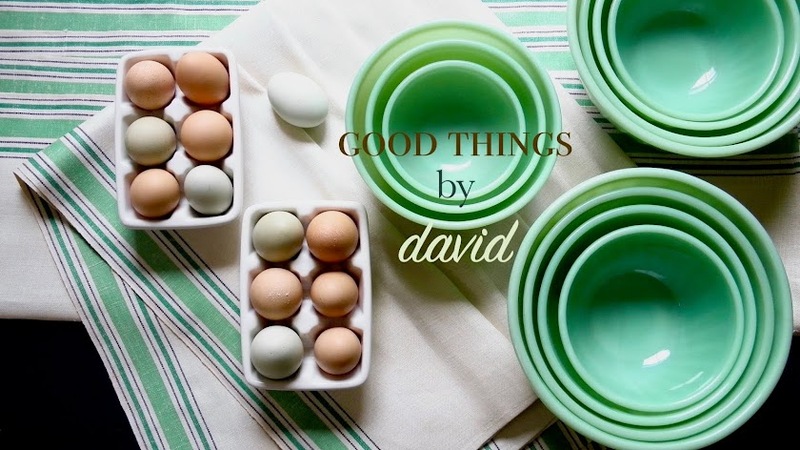 The mission of Good Things by David has always been about creating something wonderful and sharing it with readers. If a reader happens to glean a thing or two from my blog and is inspired to create something similar or something entirely different because of it, well that just makes what I do here even more rewarding. It's all about Sharing Good Things for a Good Life. Thank You Carol for sharing! These are so pretty and fun!! I love them! David what great colors and what gorgeous cookies!! Carol has done such a great job. Awesome! Keep inspiring your readers Mr. David. 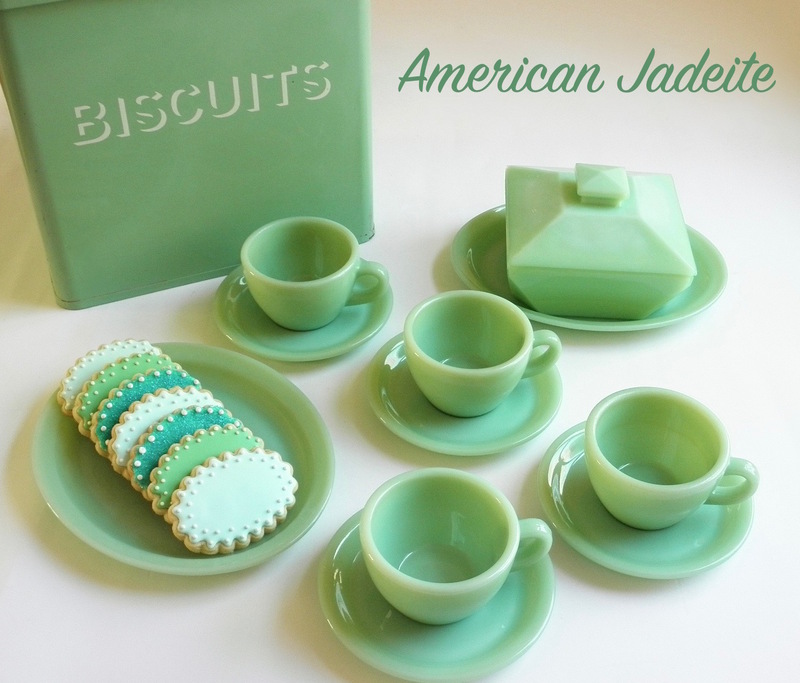 I think that's what I like about these cookies the most; the colors are simply vivid & bright. Such cheerful cookies for sure and such talent from Carol. Gotta love them! friend, I just need to find either a horse or horse head cookie cutter. 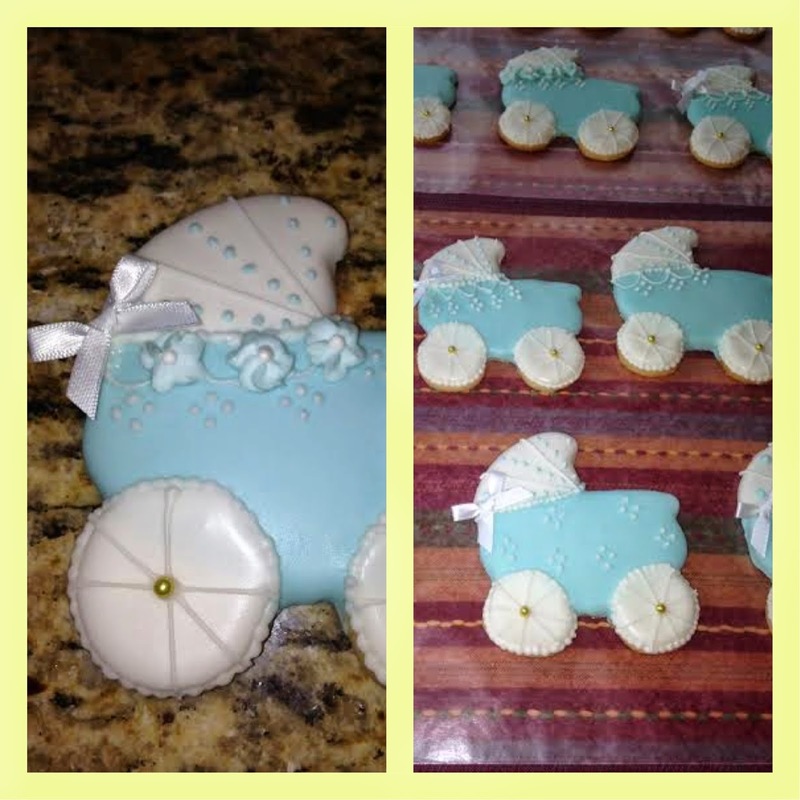 Yes, those baby prams are my favorite out of the entire bunch! Keep me posted on your cowboy cookies. Send me photos of them when you finish that project.